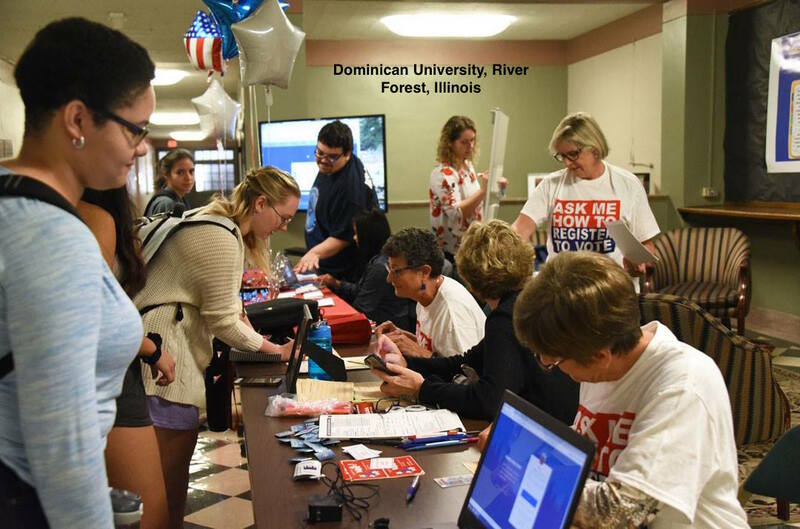 The League of Women Voters of Oak Park and River Forest mission is to register and educate voters to better participate in the democratic process. If your organization is having an event, our deputy registrars would be happy to attend and register voters. Do you have new neighbors or new 18 year olds on your block? Invite us to your next block party to register them. Remember, Every Vote Counts! April 2, 2019: Consolidated Municipal Elections for School Boards, Park Board, Library Board, and Village Trustee. Schedule of Candidate Forums in Oak Park, River Forest, and Forest Park. Watch the Candidate Forum videos here. Interested in Election Judge work on election day? August 2017 Directory of all local, county, state, and federal elected officials.